Yup, you read that right. 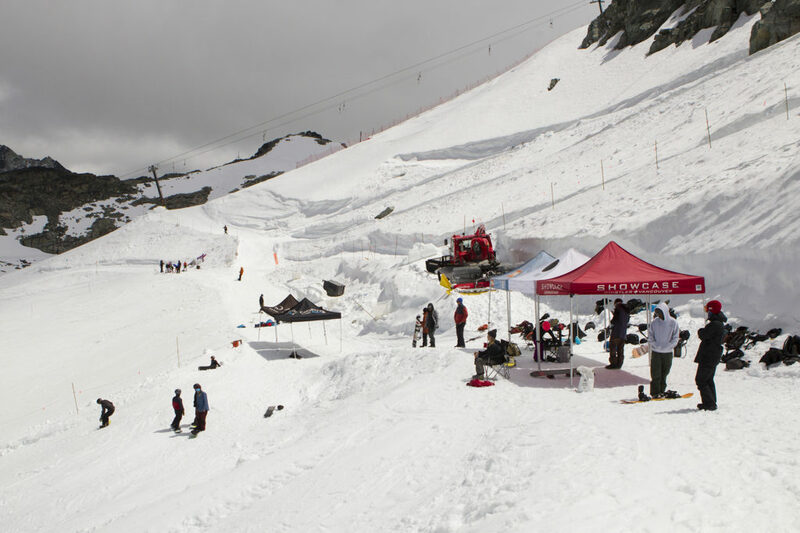 Skiing and snowboarding is on at Whistler Blackcomb until July 15th! Horstman Glacier holds the goods well into the summer and we’ve been making use of this stash for over a decade of summer shredding shenanigans. With a variety of ways to embark on a summer skiing or riding session you’ll need a bit of insider information. Before you even make it to the lift ticket office please note that the glacier is only for advanced and expert skiers and riders. Two t-bars spin off the back of the 7th Heaven daily from June 9th to July 15th and unleash a whole new shredding experience. If you’re familiar with the Horstman Glacier zone in winter it will be almost unrecognizable as the entire area is transformed into a series of lanes each designed with a specific discipline of skiing or snowboarding in mind. A public park is a fun social zone that any glacier lift ticket is good for. More like “why haven’t you been yet? !” Seriously though, you know those fun spring days with soft snow and warm sun, amplify that with summer sun, experienced coaches and a positive atmosphere for progress and that’s what summer skiing/riding is all about. Whether you’re a serious athlete that needs to keep snow progression rolling in the “off season” or a snow junkie learning to land a new trick you’ll be loving life hanging out on the glacier during the day and hanging at one of the many Whistler lakes in the evening. It’s a pretty surreal experience loading the Whistler Gondola, crossing the Peak to Peak, taking a short shuttle and then loading the 7th Heaven Chair all while wearing flip-flops, snow pants and carrying your sliding stick of choice only to arrive at Horstman Hut ready to activate winter mode – and slather in sunscreen, don’t ever forget the sunscreen! Skiing and riding on the glacier is a rewarding experience, the new friendships, skills developed and the wild experience of skiing/riding in the summer will last much longer than your summer goggle tan – we’re not joking about the sunscreen, no one wants a goggle tan in summer. The Public Park has a surfy quarter pipe and a wide selection of rails and boxes are strategically set up to keep you entertained for days! Whistler Blackcomb Summer Snowboard Glacier Camp, also known as Whistler Valley is a snowboard specific lane to the looks far right of the glacier in the formally known COC (Camp of Champions) lane. This camp boasts two L (40 foot) jumps, two M (25 foot) jumps, one S (15 foot) jump and 8 rails ranging from M-XL. Momentum Ski Camp is known as the most diverse camp on the glacier offering a variety of focuses including mogul, slopestyle and freeride. The camp includes rails, jumps, bumps and even a airbag landing pad to help learn new tricks safely. Known for their impressive line up of coaches you’ll expect Olympians, World Cup skiers, big name pros and X-Game medallists. 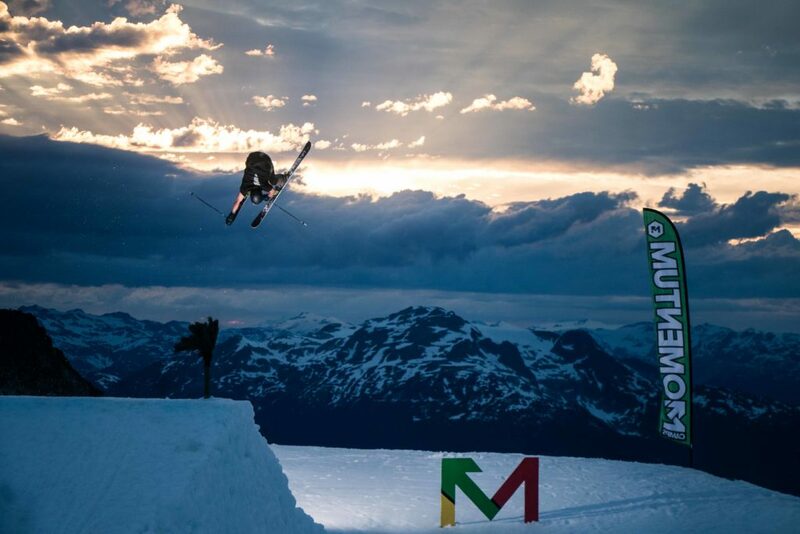 Photo by Sam Rainer courtesy of Momentum Ski Camps. Planet Ski International focuses on a quick learning curve. You can expect to land new moves, get bigger air and have total ski control by attending this camp. 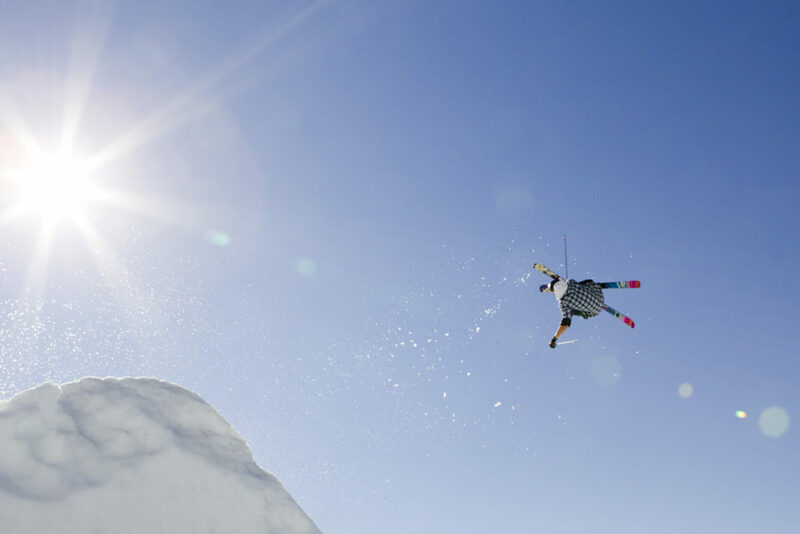 ID One – Pro Mogul Camp is taught by pros for those pursuing moguls seriously. With over 40 years of World Cup experience and 20 World Cup podiums you can be sure they know a thing or two about perfect form. Whistler Mountain Ski Club is a camp devoted to developing and perfecting foundations and techniques to take your ski racing to the next level. Sports Club International works specifically with ski racers to improve their results. Pratte Ski is a custom program for anyone looking to improve their ski performance ranging from families, passionate adults or Olympic hopeful. Ski Racing Sisterhood’s purpose is to empower, inspire and help girls aged 13-16 progress. It was created by Olympians Anna Goodman, Shona Rubens, and Christina Lustenberger. Sign up for camps is available online or head to the nearest ticket booth around 11am to purchase a day pass to the public park. Upload for public begins at 11am and stops at 1:30pm. The glacier is open for riding until 3pm. You’ll start your commute up by taking the Whistler Gondola and then hopping on the Peak-to-Peak Gondola. Once arriving on Blackcomb Mountain look for the 7th Heaven Shuttle Bus and hop on – skis and boards loaded on the outside. The shuttle will bring you to the base of 7th Heaven where you’ll grab a chair to the Horstman Hut. Take a moment look over at the glacier and locate your lane, ask a Whistler Blackcomb Staff Member for directions if you need. For your reference, the Horstman Hut is your closest washroom and food options. Enjoy lapping the T-bars below and sampling the many summer features. Public Park is open to all, please respect the private camps lanes. When it’s time to call it a day, take the Horstman T-bar to the top, from Horstman Hut and ride all the way down the marked run under 7th Heaven – this will lead you to the Rendezvous Lodge and Blackcomb Mountain Peak to Peak loading area. Now retrace your steps by taking the Peak to Peak to Whistler and downloading the Whistler Gondola. With plenty of time left in the day for another adventure, ditch your winter gear and head to the lake for well-earned dip! Or for adrenaline junkies hit up an evening session in the bike park or cruise to the skate park for a dual sport day.